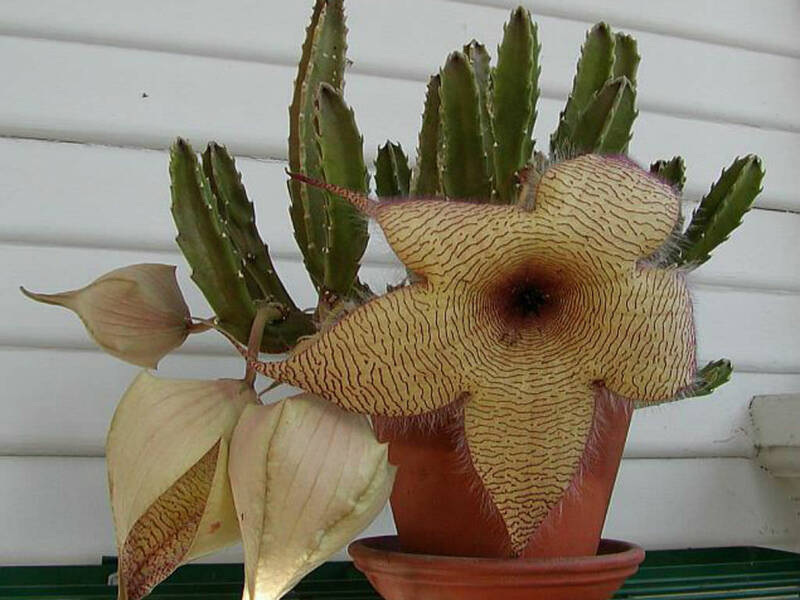 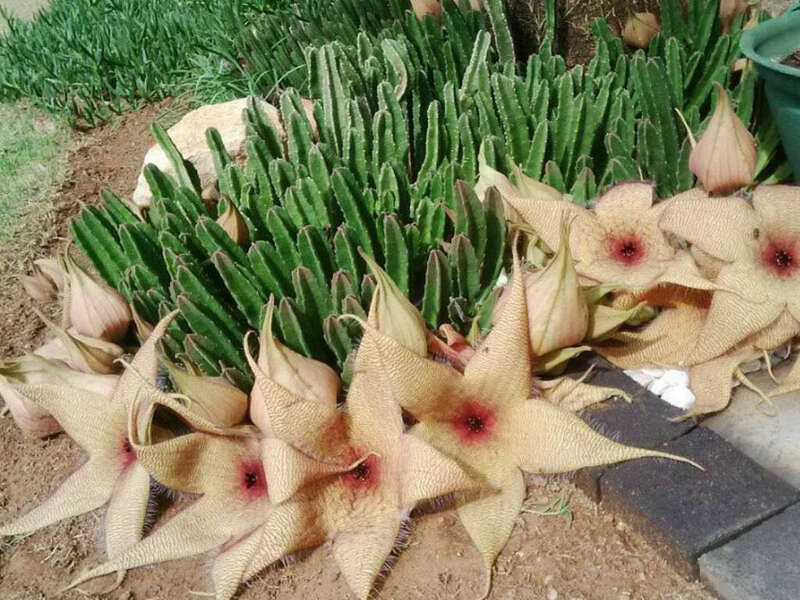 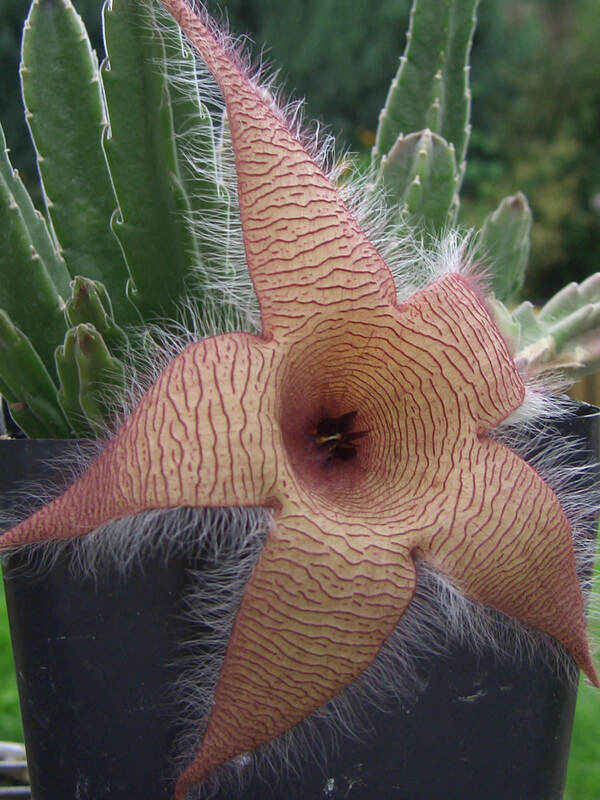 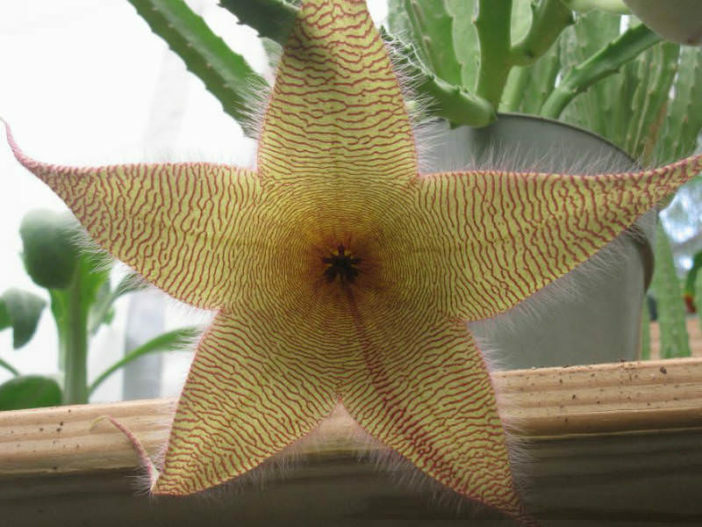 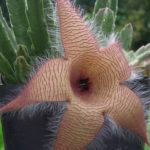 Stapelia gigantea N. E. Br. 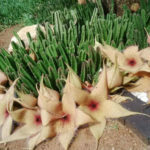 Stapelia gigantea is a clump-forming succulent with fat, green, erect, deeply ribbed stems, up to 8 inches (20 cm) tall and 1.2 inches (3 cm) thick. The flowers are large, star-shaped, 5-petalled, up to 14 inches (35 cm) in diameter, pale yellow in color, with transverse crimson lines variable in color and covered with purplish or crimson hairs. 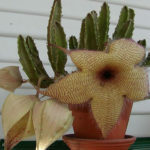 Native to south eastern Africa (Zambia, Malawi, Mozambique, Botswana, Zimbabwe and South Africa).